Ever heard the phrase, “Too good to be true”? If something is “too good to be true,” that means it sounds so amazing… you can hardly believe it. In this tale, we’ll meet a clever, sneaky rabbit who makes an offer that definitely sounds ‘too good to be true,’ because... well… it is! 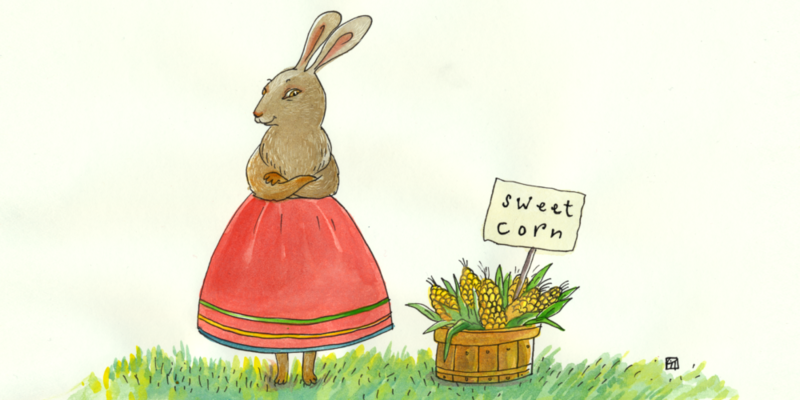 Our story is called “Sweet Corn and Clever Rabbit.” Versions of this tale come from Mexico, Costa Rica and the First Nations people of Canada. 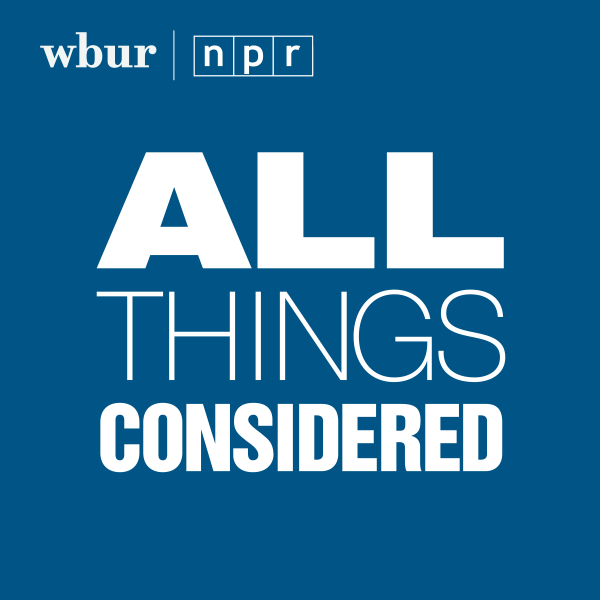 Voices in this episode include Evan Casey, Tracy Lynn Olivera, Maizy Scarpa and Eris Baker. Grown-ups, you may recognize Eris from This Is Us on NBC. 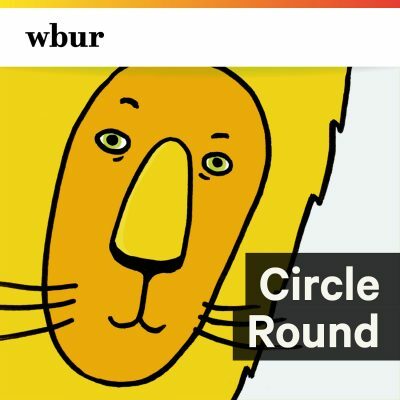 This episode was adapted for Circle Round by Rebecca Sheir and edited by Jessica Alpert, founder of the podcast. Original music and sound design by Eric Shimelonis. Our artist is Sabina Hahn. If you had a bushel of something — anything — what would it be and who would you give it to? Maybe you’d give a bushel of food to a homeless shelter, or a bushel of books to your bookworm of a best friend. Perhaps you’d give a bushel of flowers to a family member who loves to garden, or — why not? — a bushel of hugs to someone who’s having a rough day. Think about what you’d like to give, and who you’d give it to. Then find some paper, something to draw with, and make a picture that shows you giving a bushel of something super-special to someone super-special. You’ve probably heard the banjo in genres like folk, country, bluegrass and traditional Irish music. But did you know this plucked stringed instrument’s roots go back to Africa? In the 17th century, enslaved people from West Africa brought a handmade gourd instrument — the banjar — to North America, by way of the Caribbean. 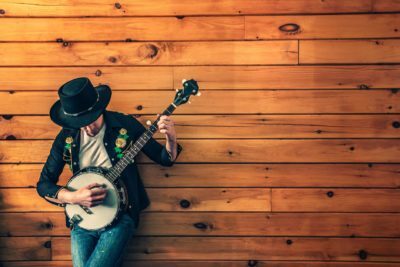 By the mid-1800s, black people in the South were playing a more modern banjo — together with the fiddle — in the very first modern string bands or bluegrass bands. Today, the banjo is so popular you can see the National Four-String Banjo Hall of Fame at the American Banjo Museum in Oklahoma! NARRATOR: Rabbit was one of the fastest animals around. She also was one of the cleverest. Her mind was every bit as quick as her feet… and, being a bit of a rascal, Rabbit was especially fond of using her smarts to hatch schemes and play tricks. This story is about one of those tricks. It all began one morning, when Rabbit was hopping around a part of the countryside she’d never seen before. After scurrying up a hill and around a bend, she saw something that stopped her right in her tracks. NARRATOR: Before her was a massive field... of corn. Row after row of bright green stalks stretched up toward the sky… and each stalk was bursting with plump, sweet cobs. RABBIT: Mmmm. All this hopping around sure has me hungry. I think I’ll have a nibble! NARRATOR: Rabbit snatched a cob and shucked off the bright green husk. She took a bite. RABBIT: (eating) Wow! This is the freshest, sweetest corn I’ve ever tasted! NARRATOR: As she chewed on the corn with her sharp teeth… her sharp mind began chewing on… a plan. RABBIT: You know... I can think of a bunch of animals who’d love a taste of corn this sweet. I bet I could sell a thousand bushels of this stuff! I’d be rich! NARRATOR: Then it occurred to her: this field must belong to a farmer. And farmers do not appreciate finding rabbits in their fields - especially rabbits who are snatching all their corn! But remember: Rabbit was speedy. She figured she could pick at least one bushel without getting caught. RABBIT: How can I get rich selling just one bushel of corn? (beat, a-ha moment) A-ha! I know just what to do! NARRATOR: In the blink of an eye, Rabbit darted down a row of stalks and grabbed a few-dozen corn cobs: exactly one bushel’s worth. She tossed the cobs in an old, burlap sack she found and dragged them back to her burrow. Once there, she brushed her fur, smoothed her whiskers, and put on her most winning smile. Then she grabbed three cobs of corn, and hippety-hopped to the old, rotting log... where Cockroach lived. COCKROACH: (slightly on guard/skeptical, knowing what a trickster Rabbit can be) Good morning, Rabbit. What brings you here today? RABBIT: (putting on her best/smoothest sales pitch) Well, let’s just say I have a business proposition for you. (beat) Tell me, Cockroach: do you like corn? NARRATOR: The insect’s tiny eyes lit up. COCKROACH: Like corn...? I love it! RABBIT: I thought so. Listen. I’m selling one bushel of the freshest, sweetest corn you’ve ever tasted... and I wanted you to be the first to know about it! COCKROACH: (losing skepticism, flattered, getting intrigued) Me...? Really…? RABBIT: Yes! You! Here. Have a bite. NARRATOR: Rabbit handed a cob to Cockroach. COCKROACH: (chewing) Mmmm! This is the freshest, sweetest corn I’ve ever tasted! (swallow, ) What are you asking for this one bushel of fresh, sweet corn? NARRATOR: Cockroach nearly jumped out of her shell. COCKROACH: Five silver pieces?!? That’s it?!? What a bargain! RABBIT: What can I say? I aim to please. So? Whuddya say, Cockroach? You in? NARRATOR: Cockroach thought for a moment. This seemed like an offer she couldn’t refuse! RABBIT: Fantastic! Meet me outside my burrow in exactly one hour. No sooner, no later. And don’t forget your five silver pieces! COCKROACH: Will do! See you in exactly one hour! NARRATOR: As Rabbit leapt away, she smiled to herself. NARRATOR: Rabbit’s next stop was a mushy, marshy spot beside the river… where Duck lived. DUCK: (slightly on guard/skeptical, knowing what a trickster Rabbit can be) Greetings, Rabbit. What brings you here today? RABBIT: (again, putting on her best/smoothest sales pitch) Well, let’s just say I have a business proposition for you. Tell me, Duck: do you like corn? NARRATOR: Duck’s tail feathers quivered. RABBIT: I knew it! Listen. I’m selling one bushel of the freshest, sweetest corn you’ve ever tasted... and I wanted you to be the first to know about it! DUCK: (losing skepticism, flattered, getting intrigued) Me…? You don’t say! RABBIT: I do say! Here. Have a bite. NARRATOR: Rabbit handed a cob to Duck. DUCK: (chewing) Mmmm! This is the freshest, sweetest corn I’ve ever tasted (swallow, beat) What are you asking for this one bushel of fresh, sweet corn? NARRATOR: Duck let out a surprised quack. DUCK: Quack! Just five silver pieces?!? That’s unheard of! RABBIT: What can I say? I aim to please. So? Whuddya say, Duck? You in? NARRATOR: Duck thought for a moment. This seemed like an offer she couldn’t refuse! DUCK: Yes, indeed! I’m in! RABBIT: Outstanding! Meet me outside my burrow in exactly one hour and one minute. No sooner, no later. And don’t forget your five silver pieces! DUCK: Absolutely! See you in exactly one hour and one minute! NARRATOR: As Rabbit bounced away, she had an extra spring in her step. RABBIT: This is easier than I thought. Just one more stop to go! NARRATOR: Rabbit made her way to a thick cluster of bushes in the middle of the forest… where Fox lived. Before we go on, one thing you should know about Fox: like Rabbit, he also was one of the cleverest animals around. And, like Rabbit, he also was a very cunning trickster. FOX: (slightly on guard/skeptical, knowing what a trickster Rabbit can be) Hey there, Rabbit. What brings you here today? RABBIT: (again, putting on her best/smoothest sales pitch) Well, let’s just say I have a business proposition for you. Tell me, Fox: do you like corn? NARRATOR: Fox’s red ears perked up. RABBIT: I figured! Listen. I’m selling one bushel of the freshest, sweetest corn you’ve ever tasted... and I wanted you to be the first to know about it! FOX: (getting intrigued) Hmm! I like the sound of that! RABBIT: As you should! Here. Have a bite. NARRATOR: Rabbit handed a cob to Fox. FOX: (chewing) Mmmm! This is the freshest, sweetest corn I’ve ever tasted (swallow) So uh, what are you asking for this bushel of fresh, sweet corn? NARRATOR: Fox cocked his head. FOX: Wait! Really?!? Just five silver pieces?!? That’s a steal!! RABBIT: What can I say? I aim to please. So? Whuddya say, Fox? You in? NARRATOR: Fox thought for a moment. This sure seemed like an offer he couldn’t refuse… but it sounded way too good to be true! Was Rabbit up to one of her sneaky tricks again? FOX: (playing along) Sure, Rabbit. I’m in! RABBIT: Splendid. Meet me outside my burrow in exactly one hour and two minutes. No sooner, no later. And don’t forget your five silver pieces! FOX: (still playing along) You betcha! See you in exactly one hour and two minutes! NARRATOR: As Rabbit dashed back to her burrow, Fox sat puzzling and pondering in his den. FOX: Hmmm… that rascal Rabbit is up to something! But what? I know! I’ll sneak over to her burrow, right now. I’ll hide out of sight, and see what kind of game she’s playing. Something tells me Rabbit’s sweet-corn offer doesn’t have a kernel of truth! NARRATOR: We’ll find out what happens next… after a quick break. Hatching a scheme to trick her fellow animals. One by one, she approached Cockroach, Duck and Fox with what she called a “business proposition.” She offered each of them one bushel of fresh, sweet corn... for just five silver pieces. Little did they know, she only had one bushel to sell — not three! She instructed Cockroach to come over in one hour… Duck to come over in one hour and one minute… and Fox to come over in one hour and two minutes. Cockroach was delighted about the deal, as was Duck. But wily Fox knew something wasn’t right. A few moments after Rabbit sprung away from his den, he scurried to her burrow, and hid behind a bush. Before long, he spotted Cockroach scuttling over. RABBIT: Well hello, Cockroach! Has it been one hour already? You’re right on time! Did you bring your five silver pieces? COCKROACH: I sure did! Here you go! NARRATOR: Rabbit shoved Cockroach’s five silver pieces into her left pocket. COCKROACH: Okay, so… where’s that sweet corn? RABBIT: It’s right here, in this sack! (fake gasp) Oh no! COCKROACH: What?!? What’s the matter?!? RABBIT: I hate to say it, but here comes Duck! You know how she loves to eat cockroaches! You’d better go hide! I’ll let you know when it’s safe to come back. COCKROACH: (panicking) Oh! Okay! Thanks, Rabbit! See you soon! NARRATOR: As Cockroach scuttled behind a rock, Duck waddled up to Rabbit’s burrow. RABBIT: Well hello, Duck! Has it been one hour and one minute already? You’re right on time! Did you bring your five silver pieces? DUCK: Indeed I did! Here they are! NARRATOR: Rabbit’s left pocket was full of Cockroach’s silver pieces… so she dropped Duck’s five silver pieces into her right pocket. DUCK: Alright, so… where can I find that sweet corn? RABBIT: It’s right here, in this sack! (fake gasp) Uh oh! RABBIT: I hate to say it, but here comes Fox! You know how he loves to eat ducks! You’d better go hide! I’ll let you know when it’s safe to come back. DUCK: (panicking) Oh dear! Thank you, Rabbit! I’ll see you shortly! NARRATOR: As Duck shuffled behind a tree, Rabbit looked around… and frowned. RABBIT: Hmmmm. I told Fox to come over in one hour and two minutes -- and now he’s late! I wonder where he could be? NARRATOR: Now, we know that Fox had been watching all this time, right? But Rabbit didn’t know that! So you can imagine how startled she was when, all of a sudden, Fox jumped out from behind the bush where he’d been hiding. FOX: I’m right here, Rabbit! RABBIT: Fox?!? How’d you get behind that bush? (nervous) What have you been doing? NARRATOR: Fox smiled, his pointy white teeth glinting in the sun. FOX: ‘What have I been doing?’ Oh, ya know, just listening to you sell the same bushel of corn — twice — and give nothing in return! RABBIT: (nervous laugh) Oh, that! I can explain everything! You see, Fox, my plan was to sell all the corn to you! You and you alone! NARRATOR: Before Rabbit knew what was happening, Fox bounded over to the rock and pulled Cockroach out of her hiding place. He did the same with Duck behind the tree. Rabbit watched as the three animals… Cockroach, Duck and Fox... went into a huddle. After whispering amongst themselves, they turned to Rabbit and began to speak… using some very familiar words. FOX: So, uh, listen, Rabbit. (echoing Rabbit’s words from earlier) We have a business proposition for you. FOX / COCKROACH / DUCK: … ten silver pieces! DUCK: … and the five you stole from me! FOX: (echoing Rabbit’s words from earlier) So? Whuddya say, Rabbit? FOX / DUCK / COCKROACH: (echoing Rabbit’s words from earlier) You in...? RABBIT: (ashamed) Yup. I’m in. NARRATOR: So the three new friends — Cockroach, Duck and Fox — split the corn three ways. And enjoyed every fresh, sweet bite. If something sounds too good to be true, most likely it is. In fact, it’s probably just another hare-brained scheme.